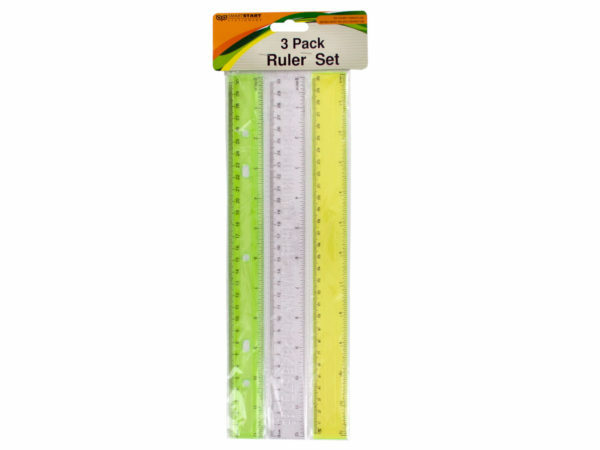 Great for school and general use, this assortment of rulers comes with 3 different styles including: a notebook ruler, an alphabet stencil ruler and a standard ruler. Each ruler is approximately 12" long with both inches and centimeters represented. 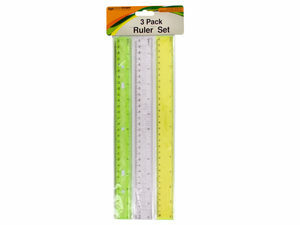 Rulers are packaged in a poly bag with header card.